Get all the things done you're used to doing with pricey software at a fraction of the cost. There are hundreds of free programs out there that work just as well as the commercial programs people pay hundreds of dollars for. This book tells you how to find and use the most popular and useful of these. The Open Source movement is a system where programmers can share code and collectively improve programs. As a result they can produce programs that are just as good, if not better than their commercial alternatives. For example, LibreOffice comes with a database, Microsoft Office does not. This book shows you where to get and how to use the best Open Source programs giving you not only access to high quality software, but saving you money as well. 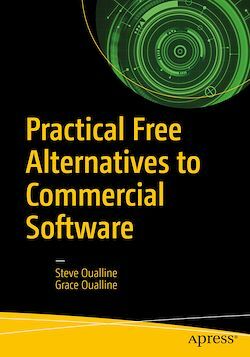 Add Practical Free Alternatives to Commercial Software to your library today.